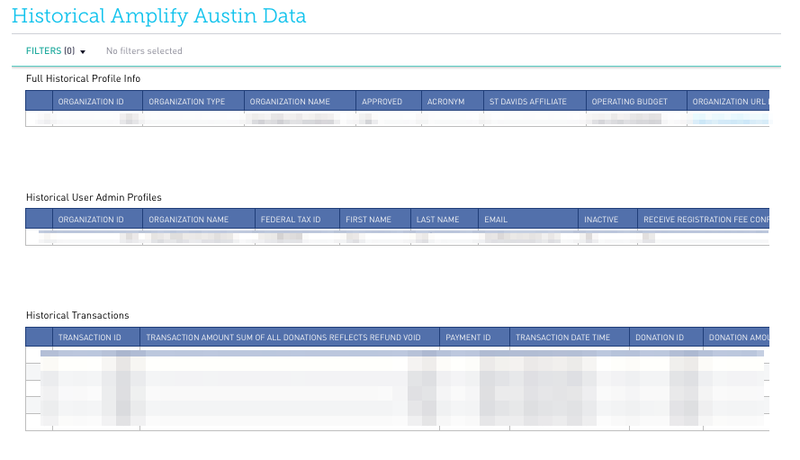 How can I view my historical data for Amplify Austin? 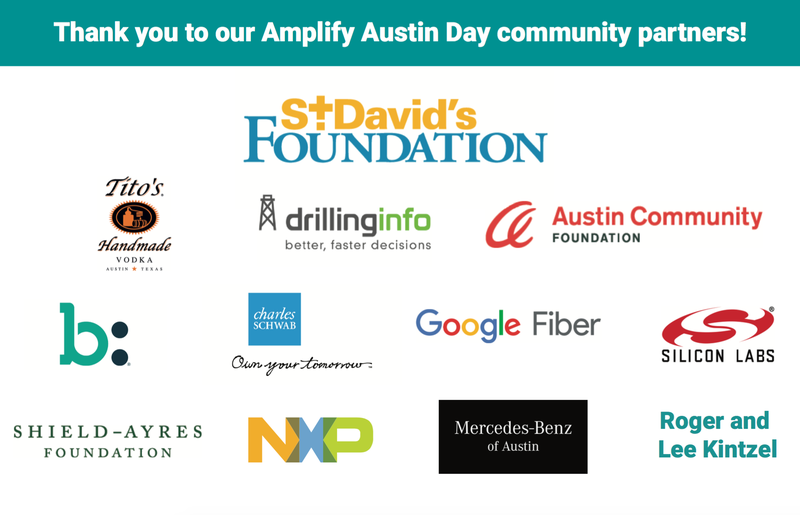 Learn how to view your historical data from previous participation in Amplify Austin! 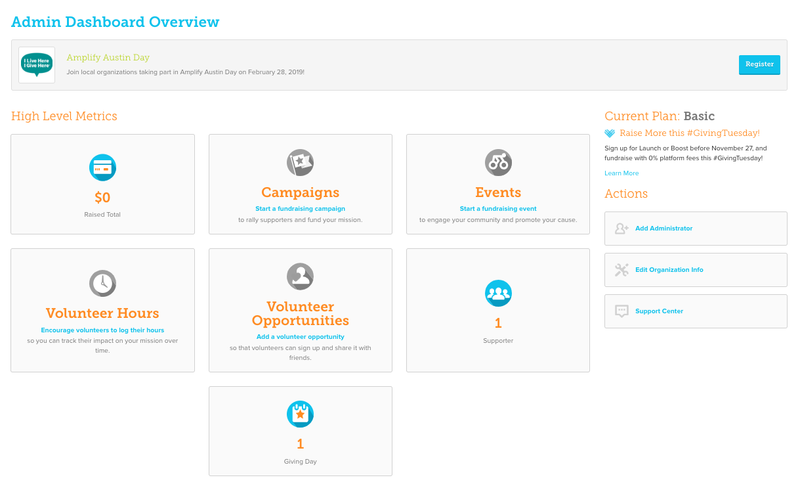 Using the log-in instructions received in the email, head to your admin dashboard. 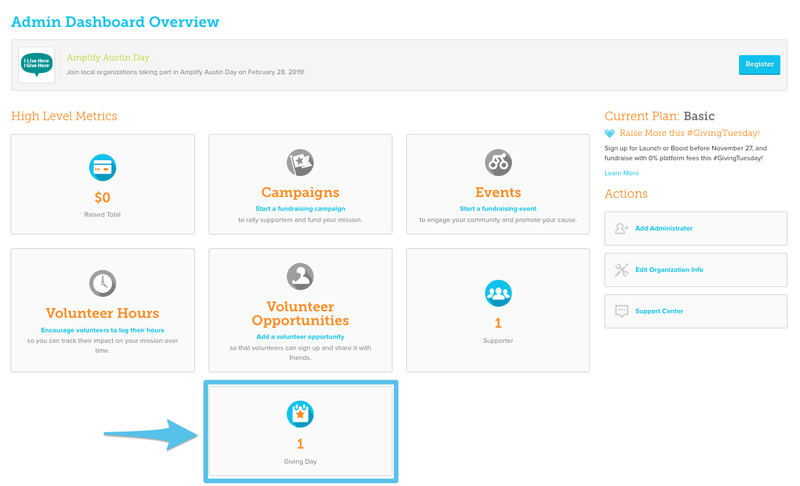 Step 2: Select "1 Giving Day"
Once in your admin dashboard, select the "1 Giving Day" badge from the options within the dashboard. 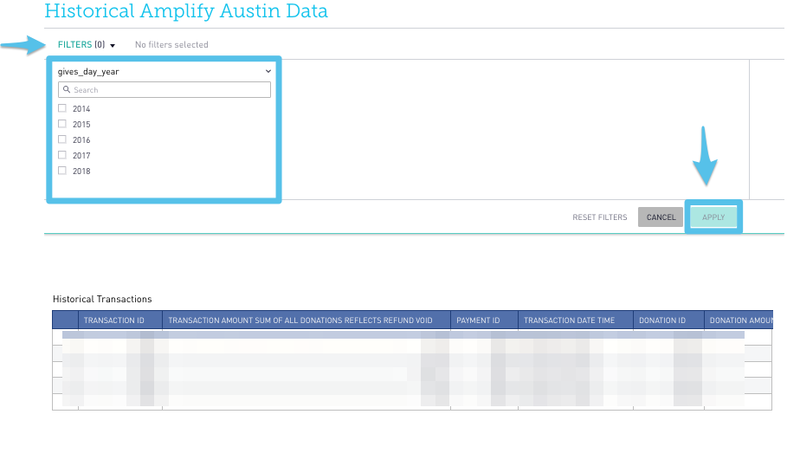 Step 3: Select "Amplify Austin 2014-2018"
Select the "Amplify Austin" button below the Historical Data header. From this view you will be able to see your historical data from years 2014 - 2018. To filter your historical data by year first select the "Filter" button on the upper left portion of the screen. From the dropdown menu that appears, select which year or years you would like to view the historical data for, then select "Apply."